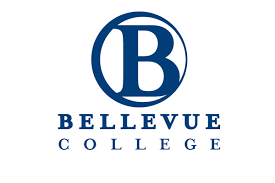 Founded in 1966, Bellevue College is a public, community-based college in the United States. Bellevue believes in the importance of critical thinking, innovation, service and leadership. Education in Bellevue is affordable to all at a cost ⅓ that of Washington State University. Bellevue College hosts over a thousand students from 70 different countries, giving them the education and support they need for a successful career and life. Over 50% of Bellevue’s international students transfer to a top-rated US university such as University of Washington, UCLA and UC Berkeley. The 2+2 college-to-university pathway program give students the option to complete a two-year transfer degree at Bellevue College and then transfer to a university as a junior or third-year student OR transfer to a Bellevue College partner university or any US institution to complete the third and fourth year of your degree.